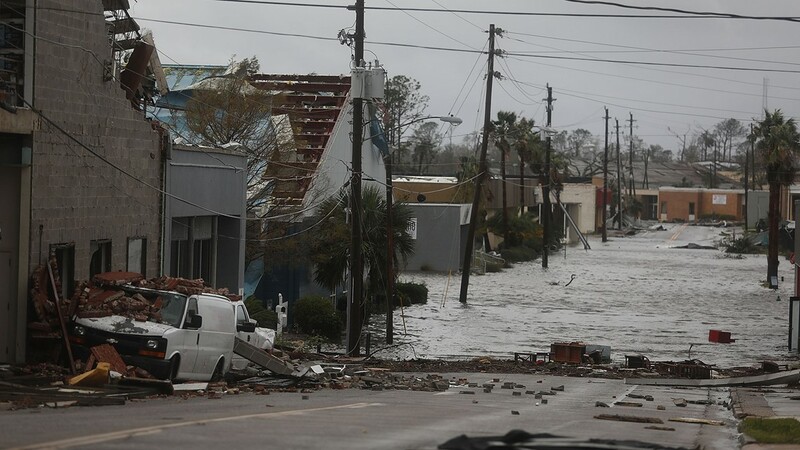 The storm will go down in history as the third strongest to hit the United States mainland in recorded history. 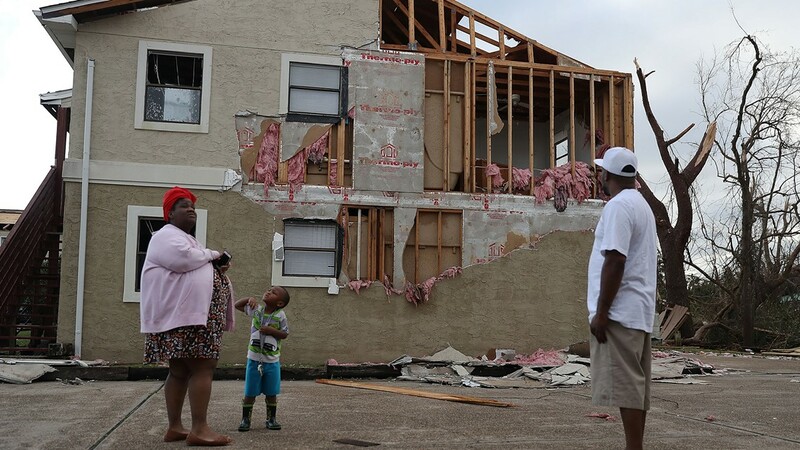 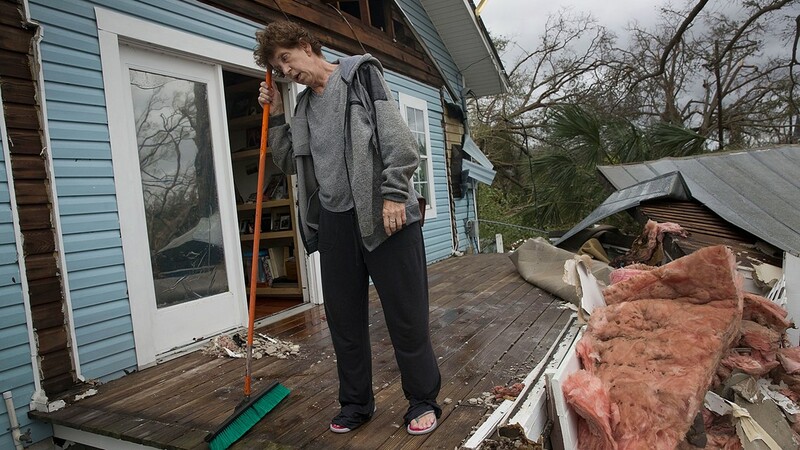 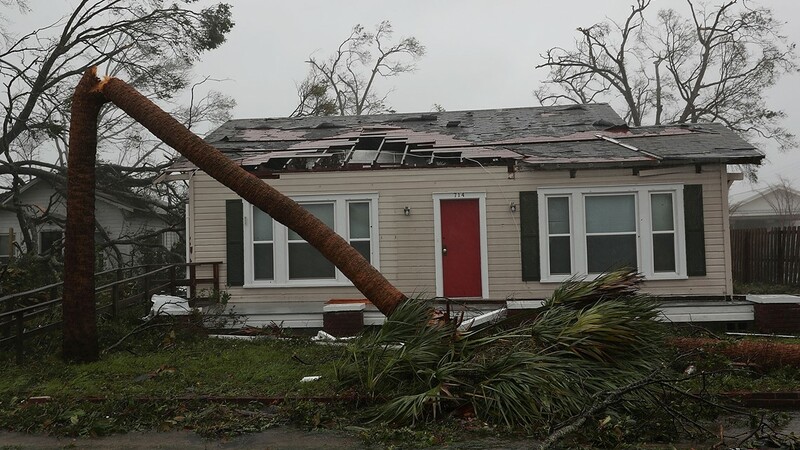 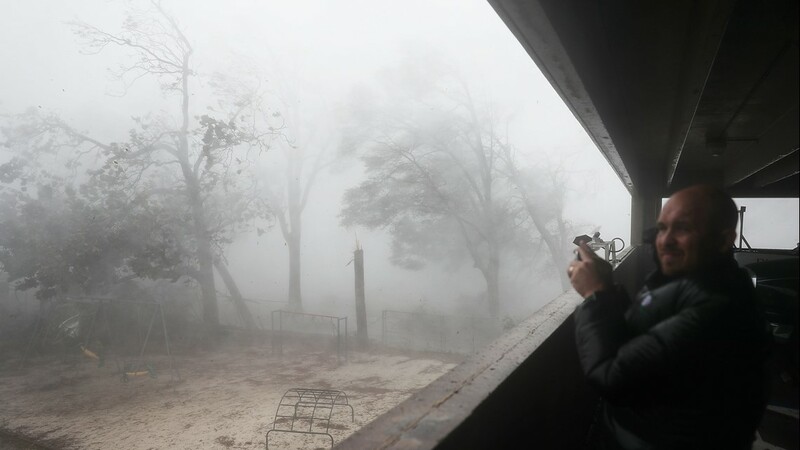 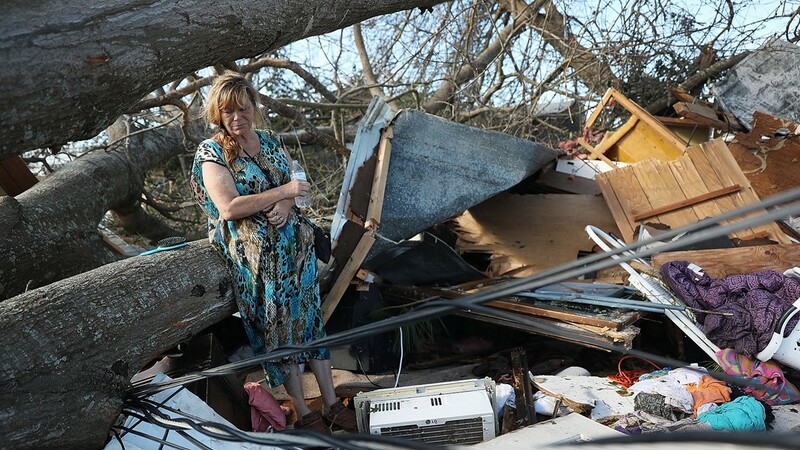 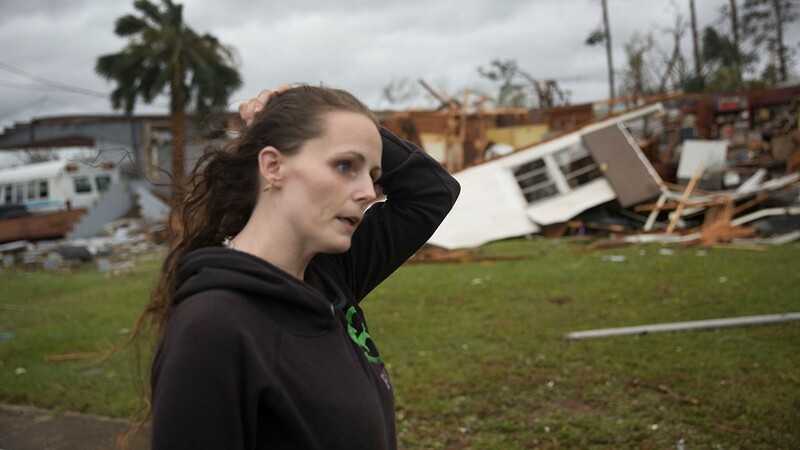 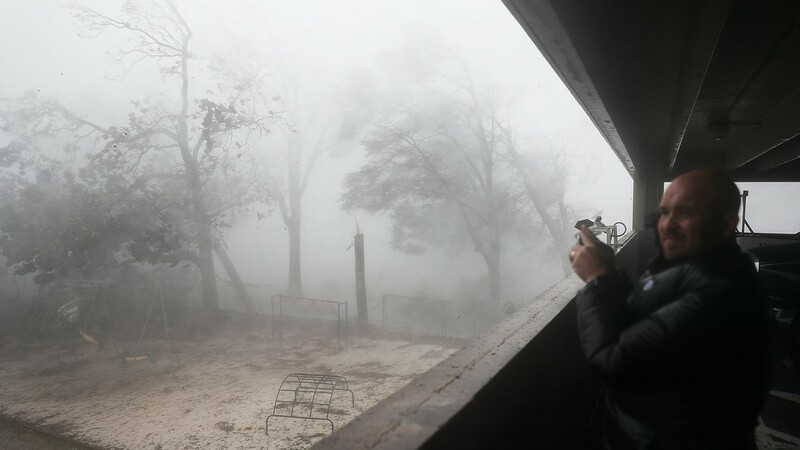 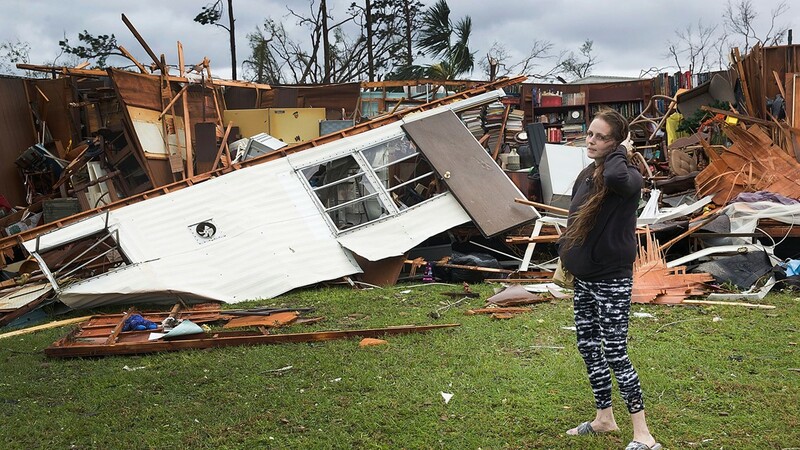 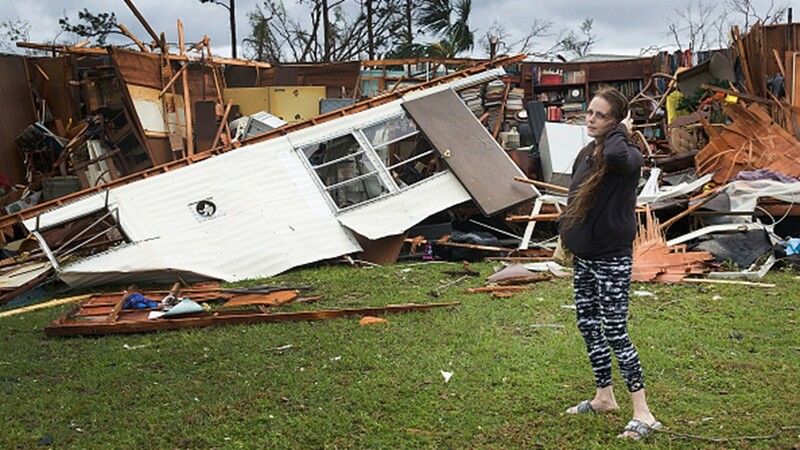 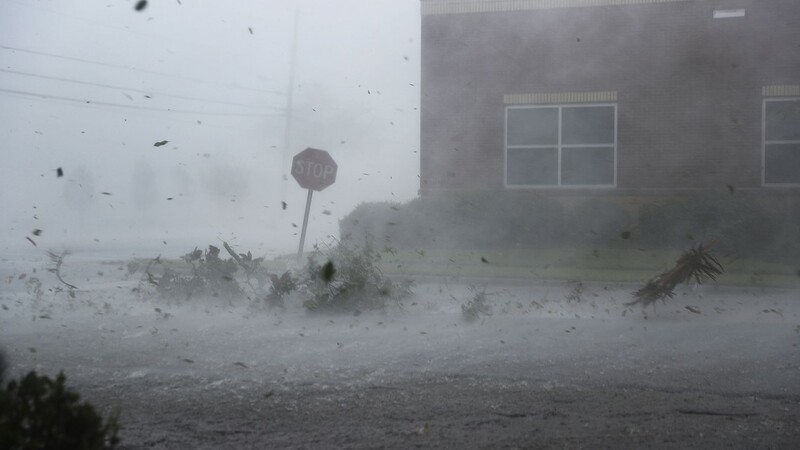 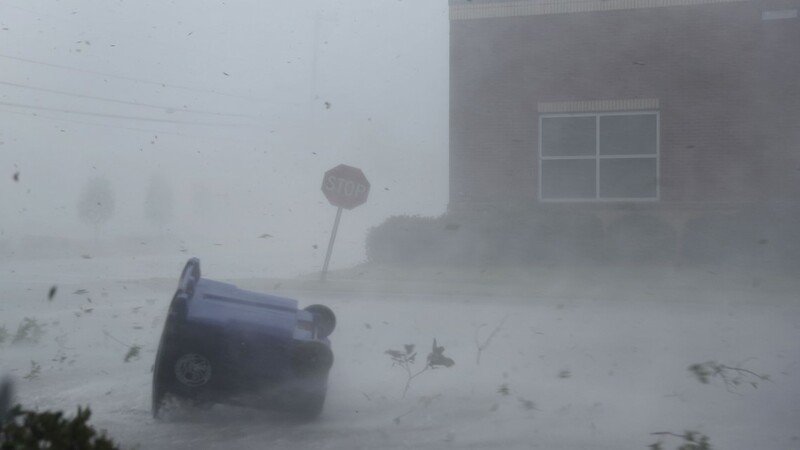 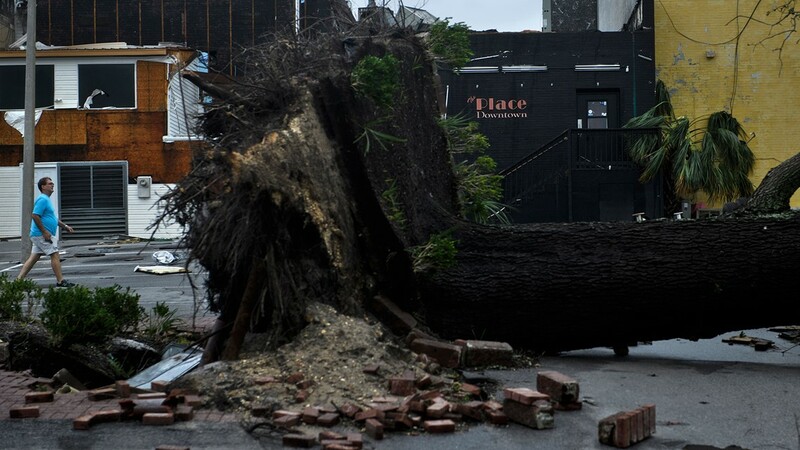 Hurricane Michael weakened to tropical storm Thursday but remained a menace as it rolled across the Southeast, leaving two dead after tearing a path of devastation through the Florida Panhandle and parts of Georgia. 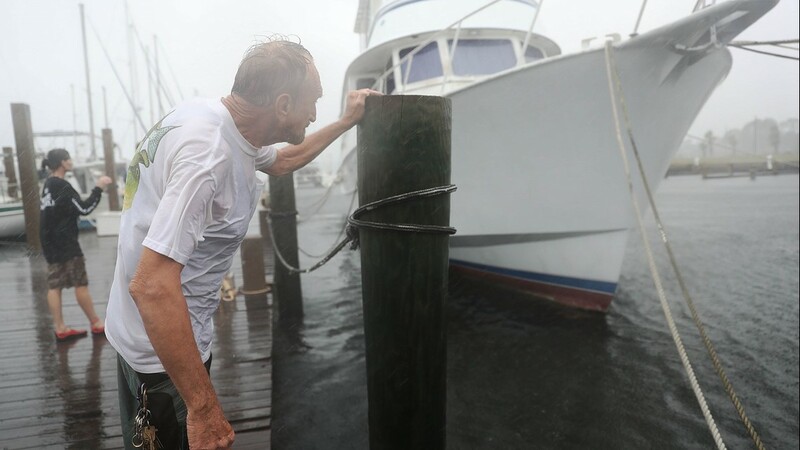 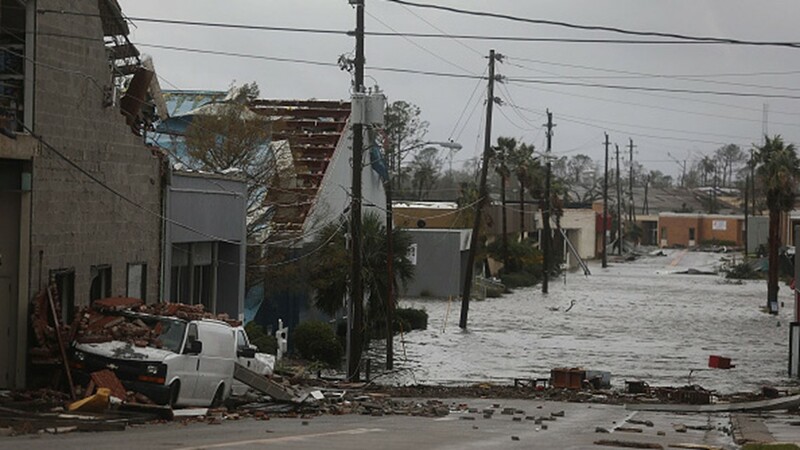 The storm will go down in history as the third strongest to hit the United States mainland in recorded history after making landfall Wednesday as a Category 4 colossus with sustained winds of 155 mph — just 2 mph short of iconic Category 5 status. 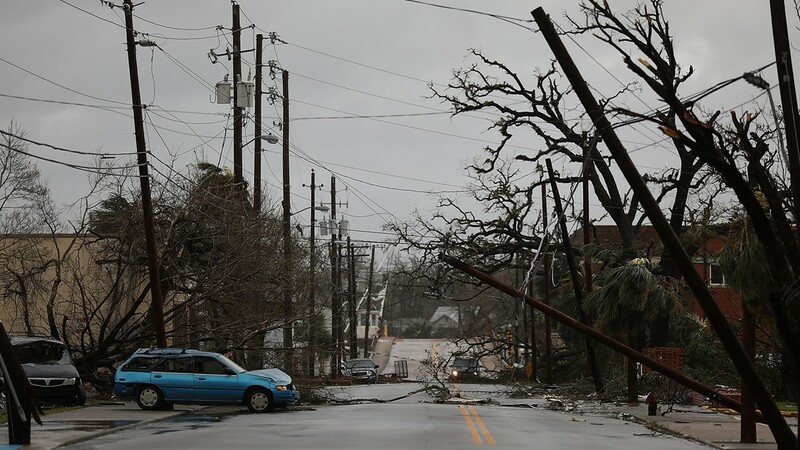 "I’m urging residents of impacted areas to continue to stay off the roads and listen to your local authorities so that our first responders and utility crews can do their jobs," Gov. 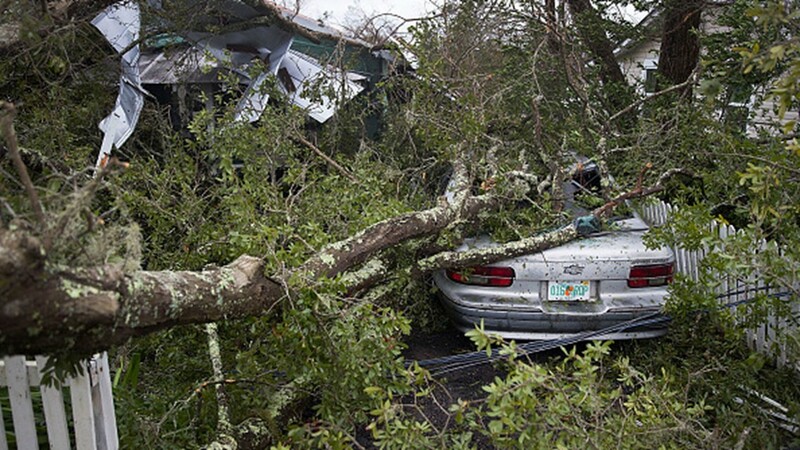 Rick Scott tweeted Thursday. 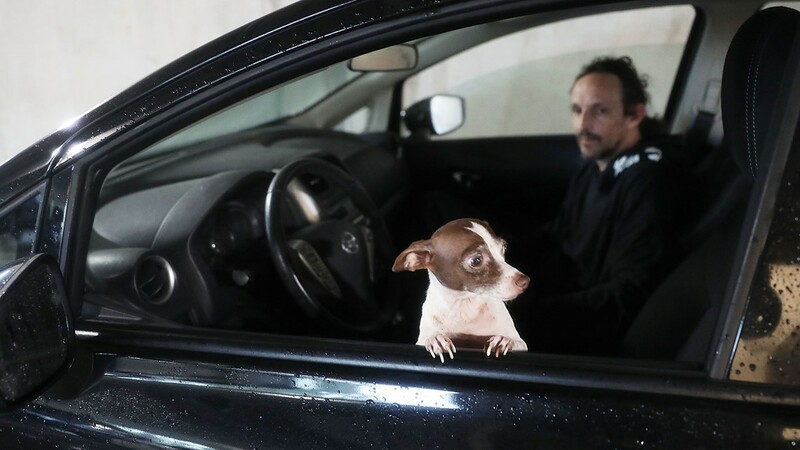 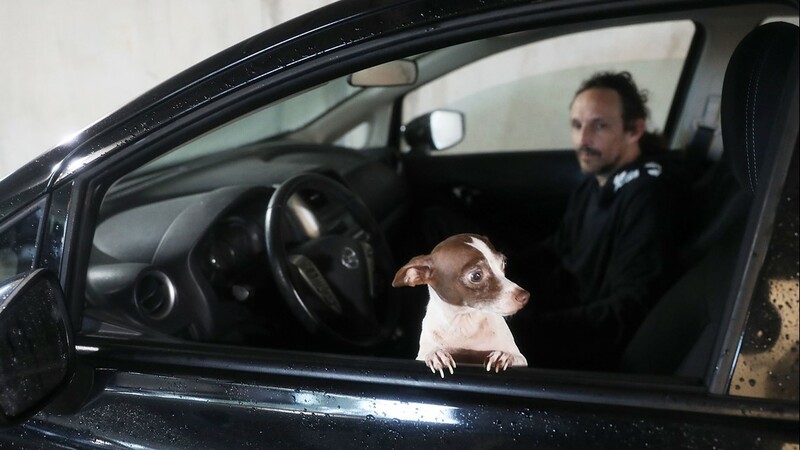 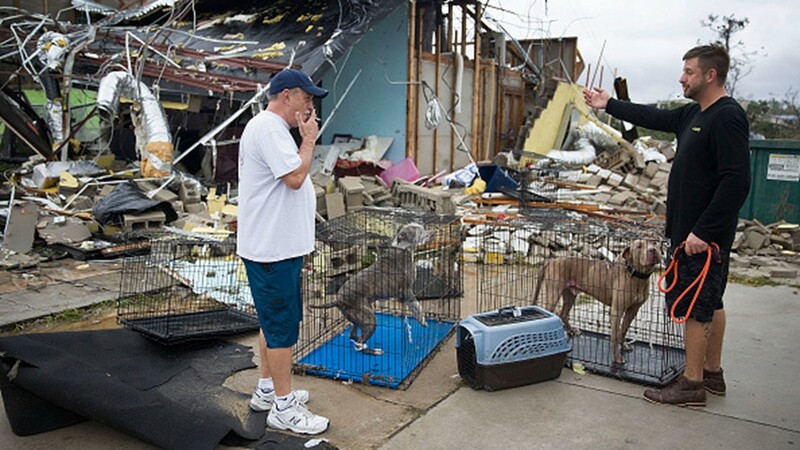 "We’re working diligently to get to everyone as quickly as we can." 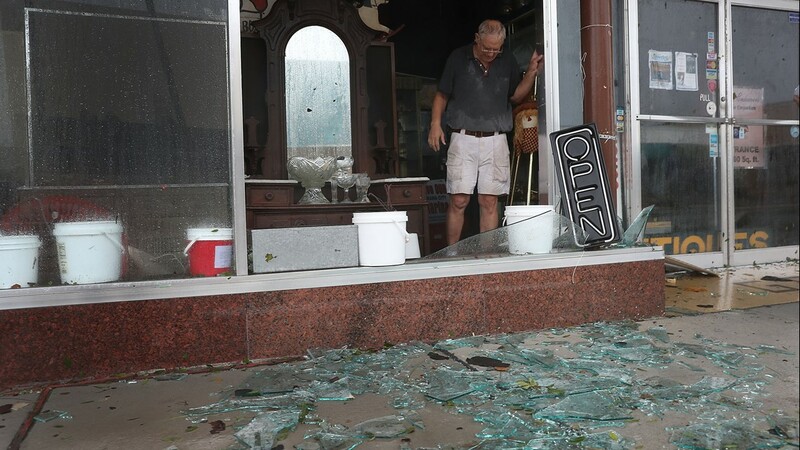 What damage has Michael wrought? 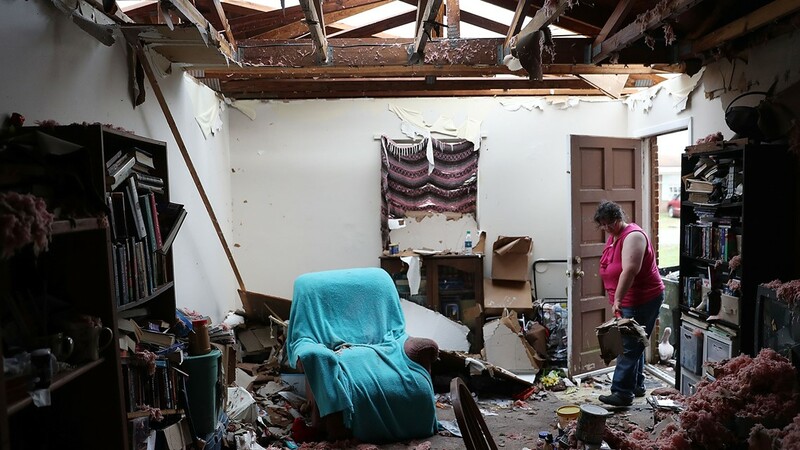 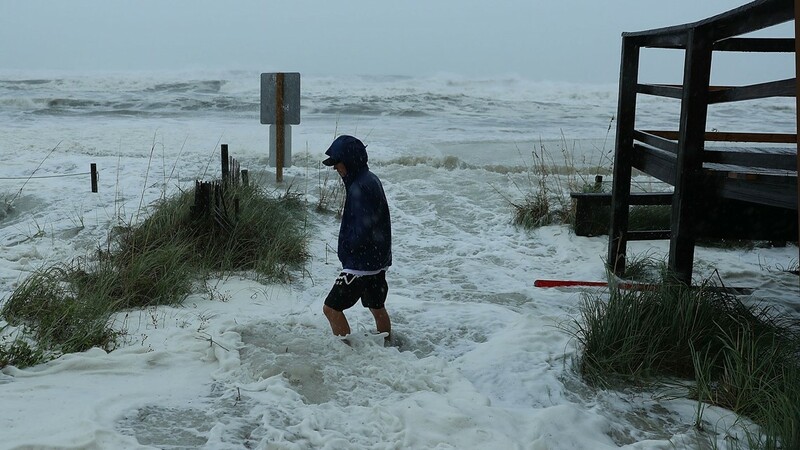 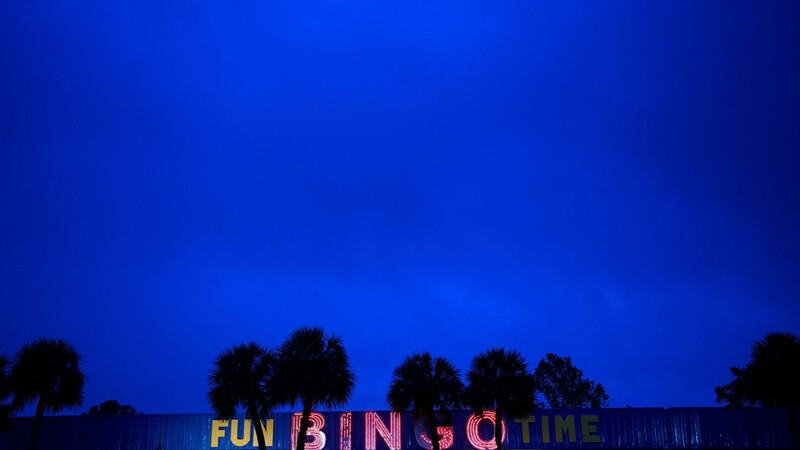 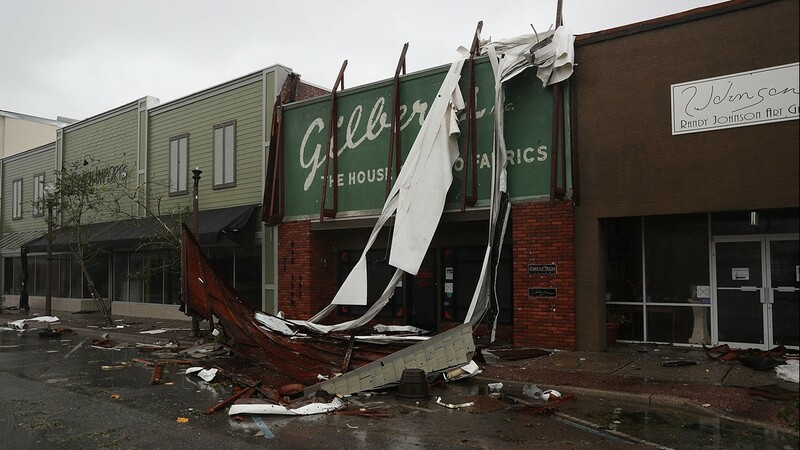 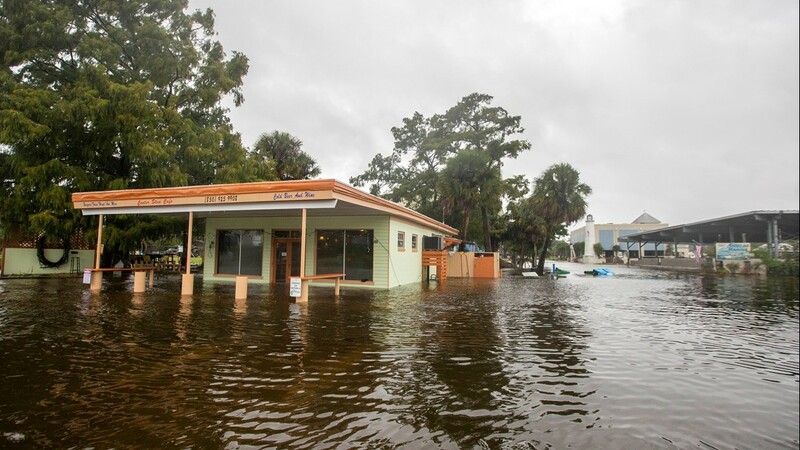 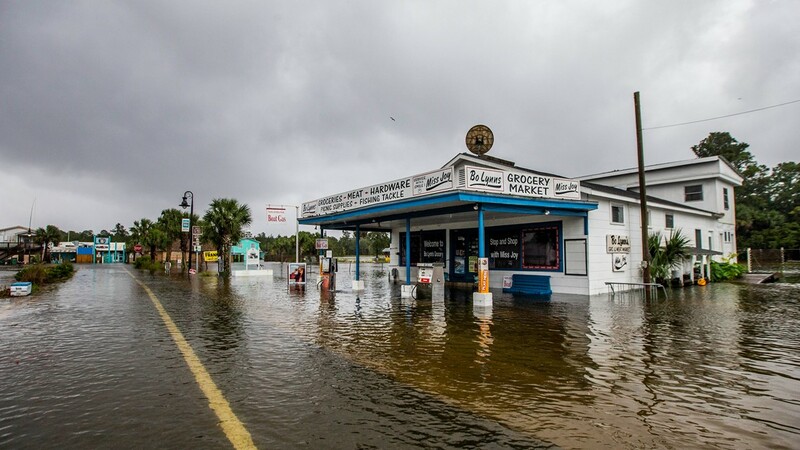 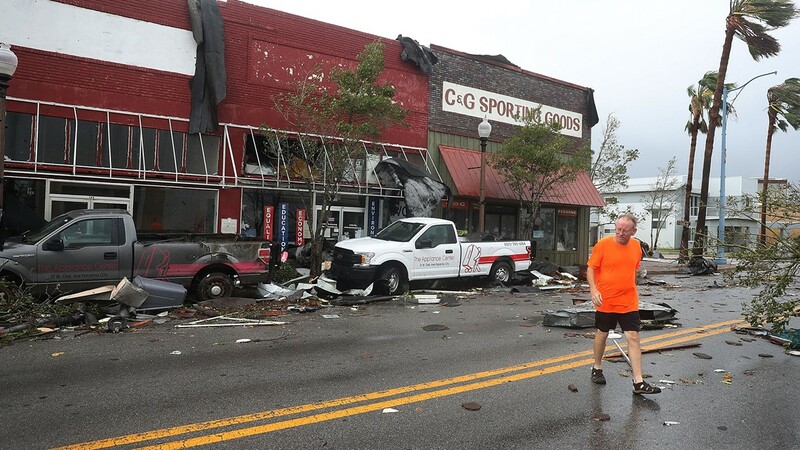 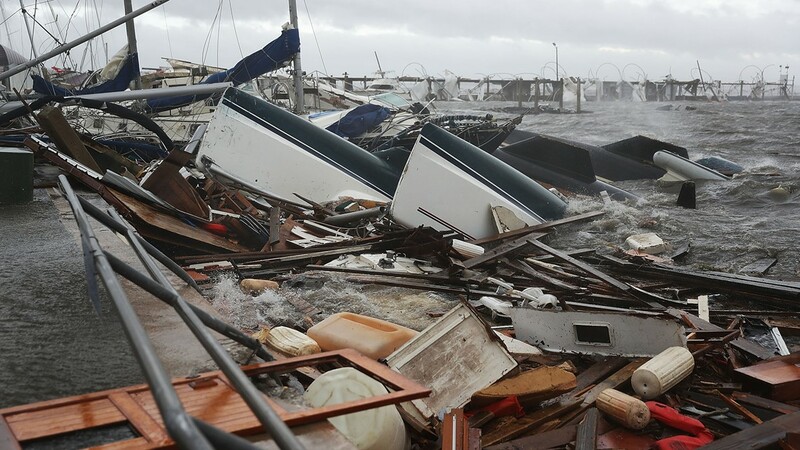 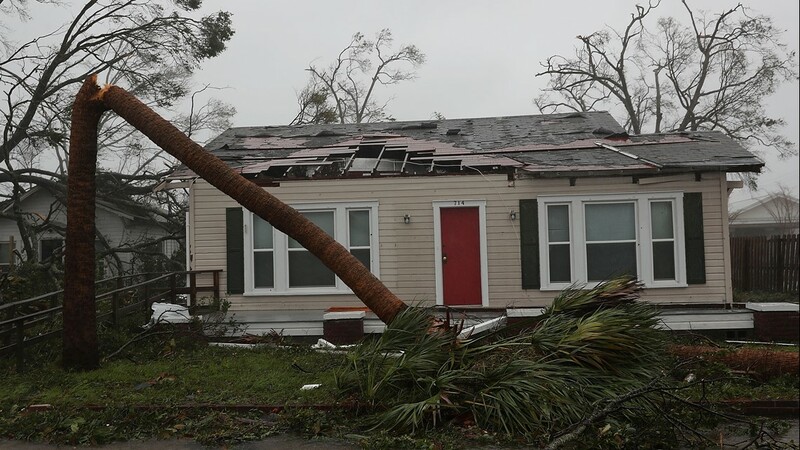 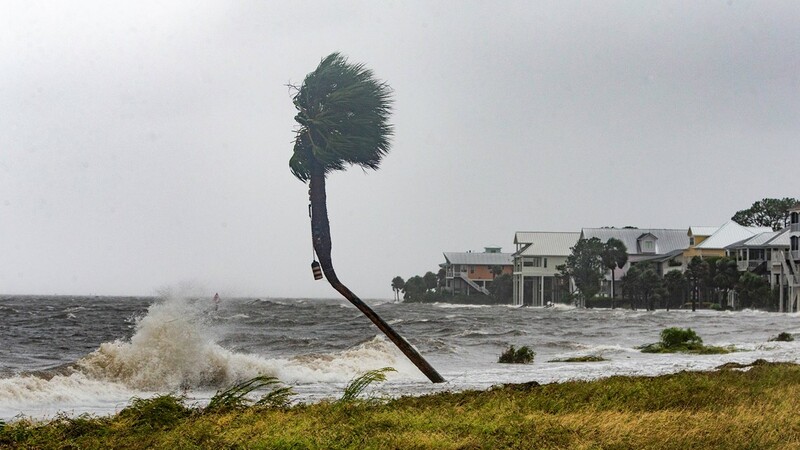 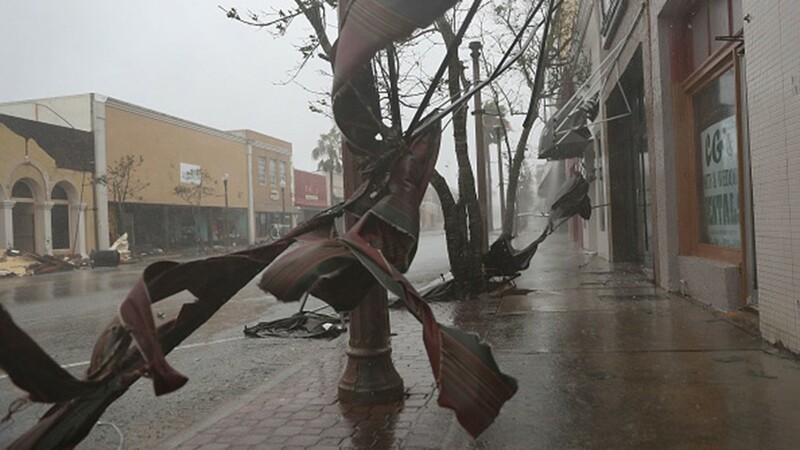 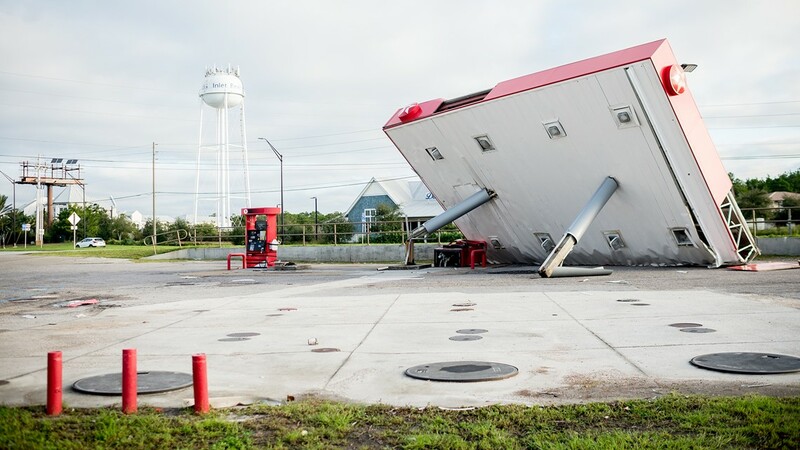 Thousands of homes and businesses were blown apart as Michael cut its swath across the Florida Panhandle and into Georgia. 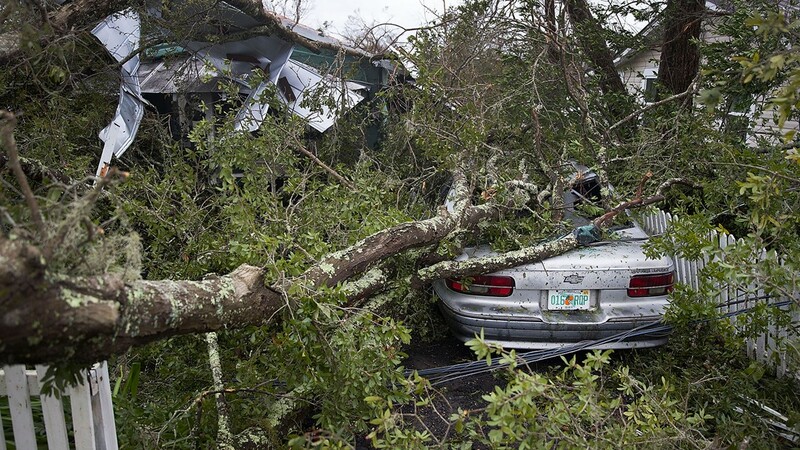 An 80-mile stretch of I-10 west of Tallahassee was closed to clear debris. 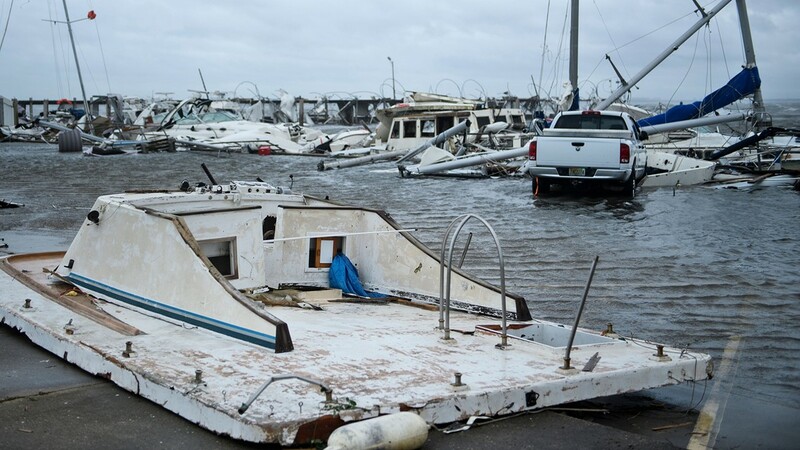 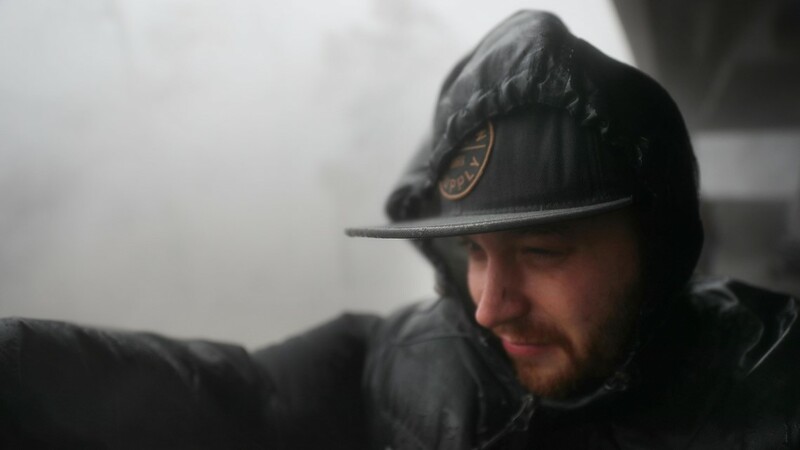 Beaches disappeared, military bases were damaged, cars and trucks were flipped and smashed. 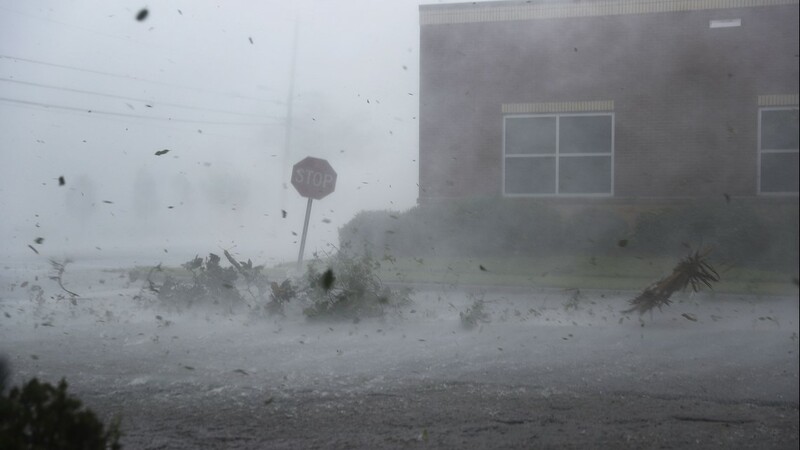 Power outages affected almost 700,000 customers in the two states alone. 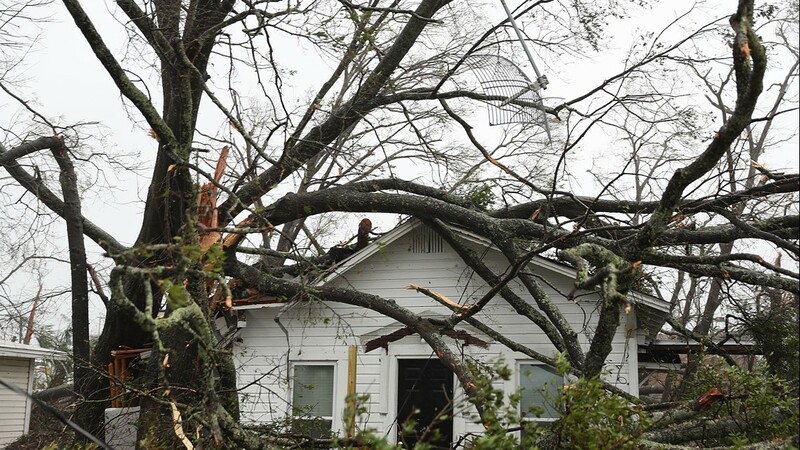 Alabama, South Carolina and North Carolina reported more than 160,000 outages. 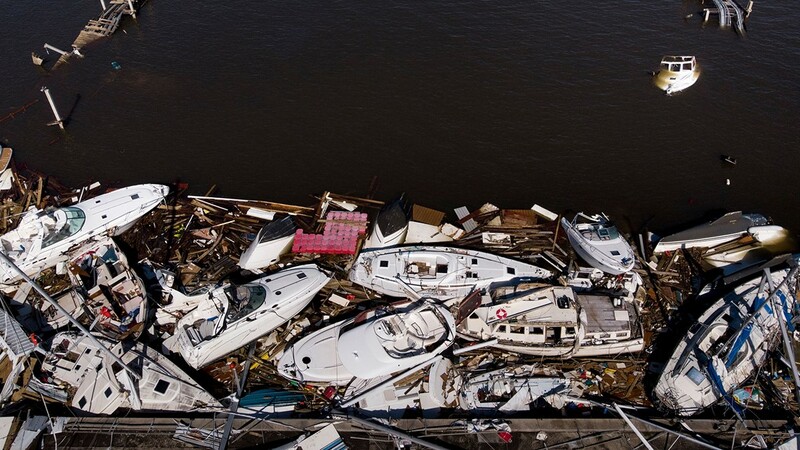 Was the storm a record-breaker? 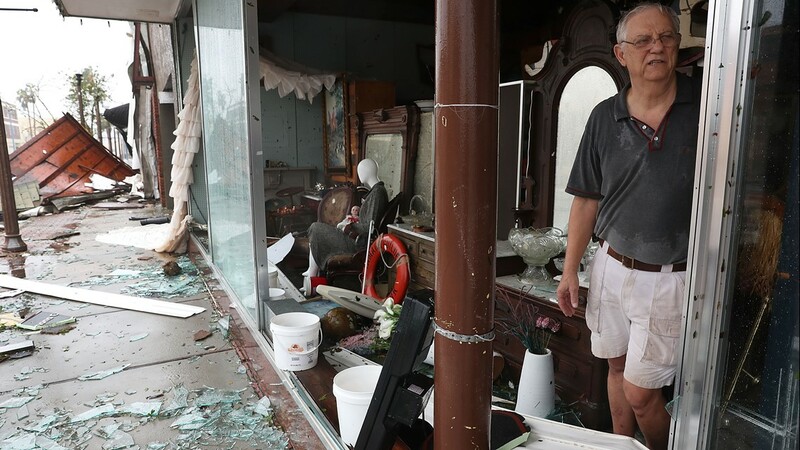 It's too early to tell for sure, but widespread roof damage and destruction across several states showed up on the Army Corps of Engineers' computer models. 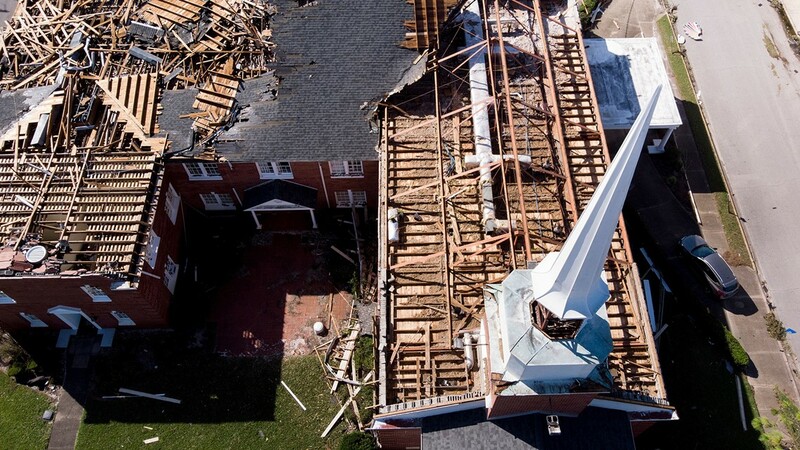 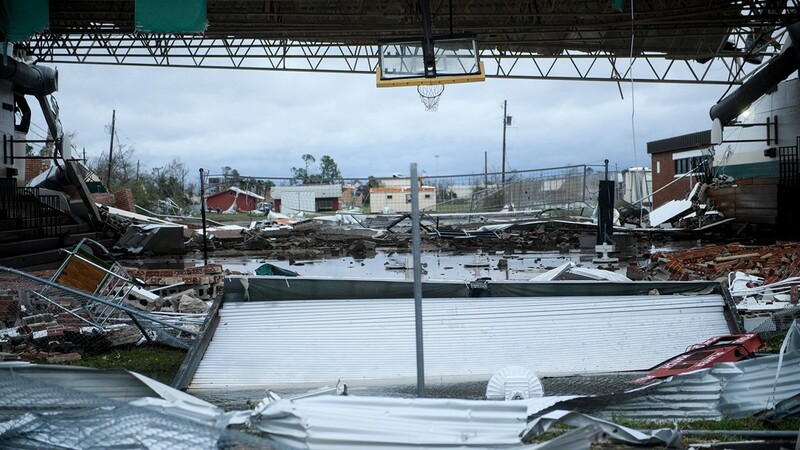 The Corps was preparing to cover tens of thousands of rooftops, according to a senior official. 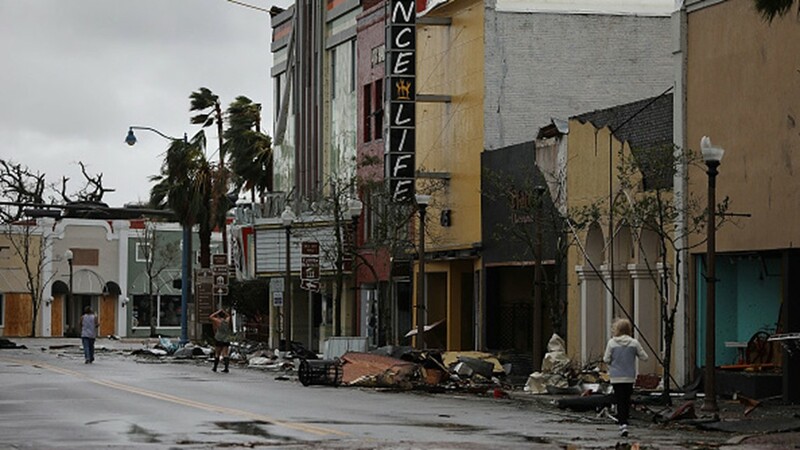 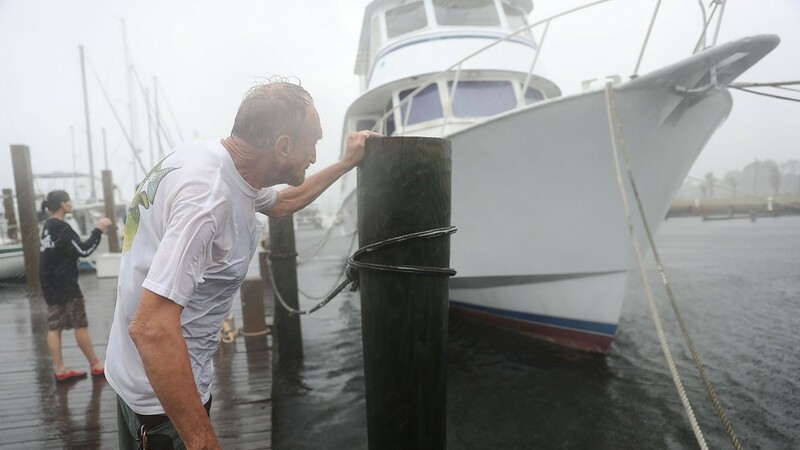 Accuweather predicted Michael's total damage and economic impact will reach close to $30 billion, which would make it one of the 10 costliest hurricanes in U.S. history. 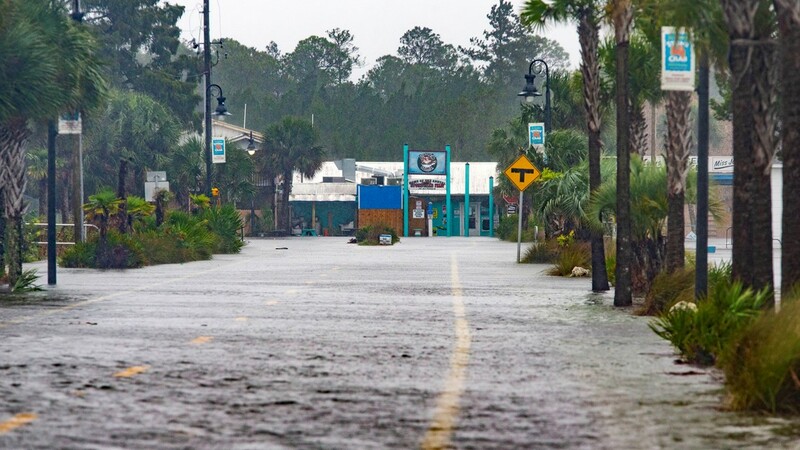 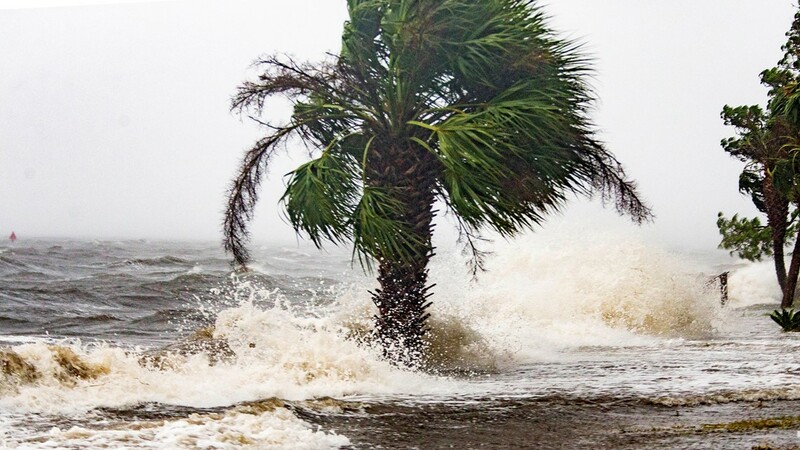 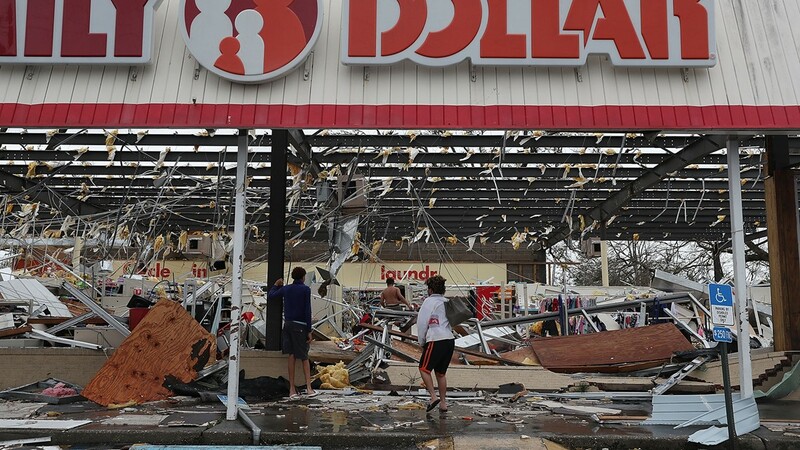 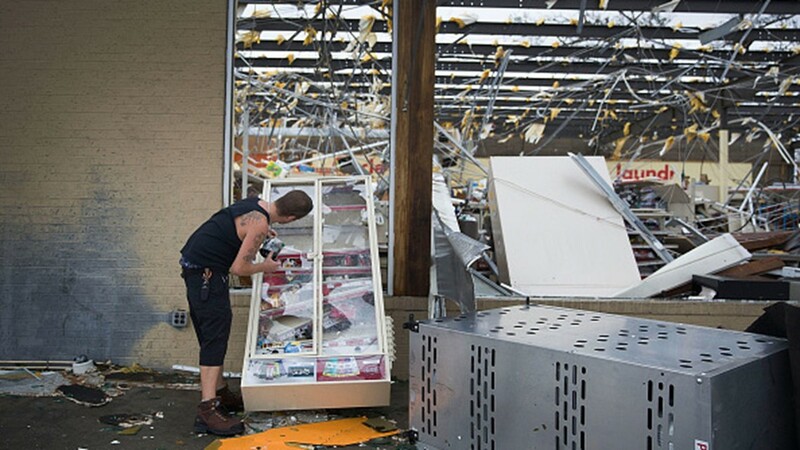 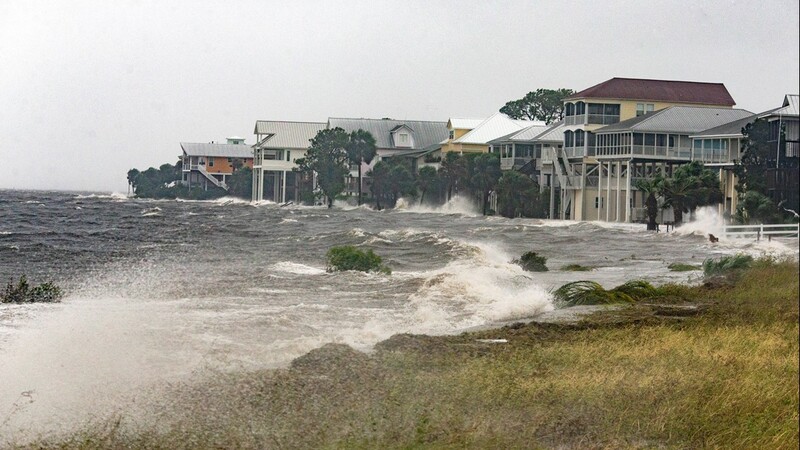 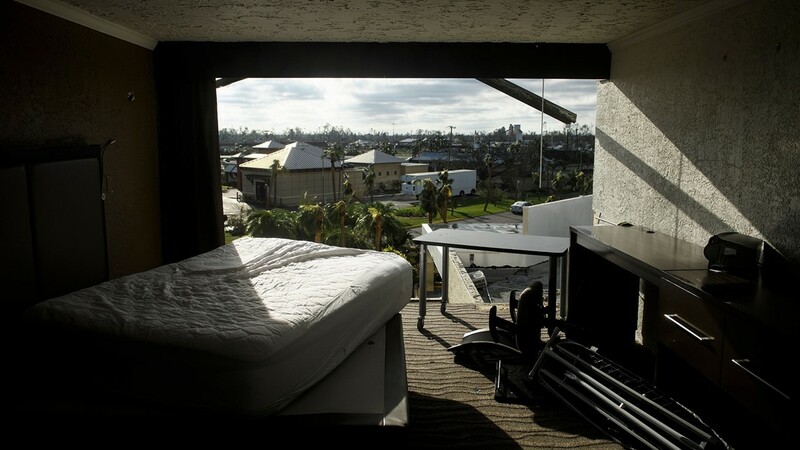 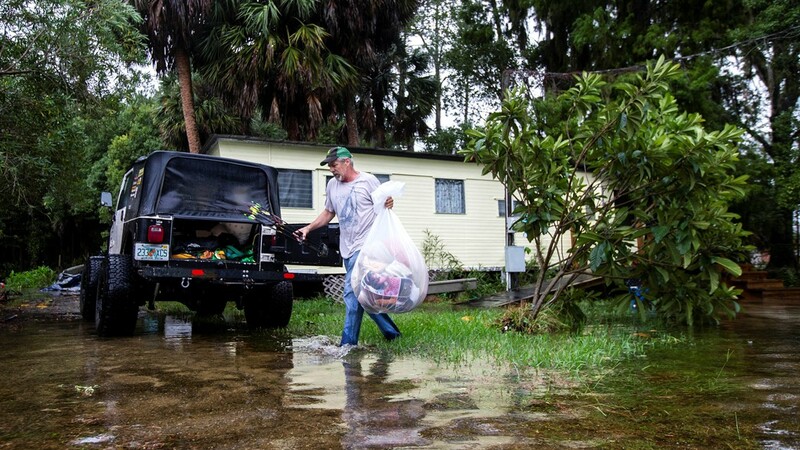 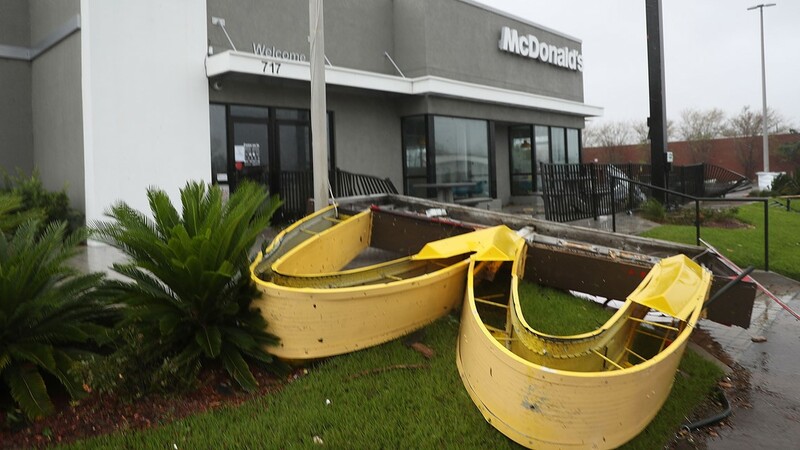 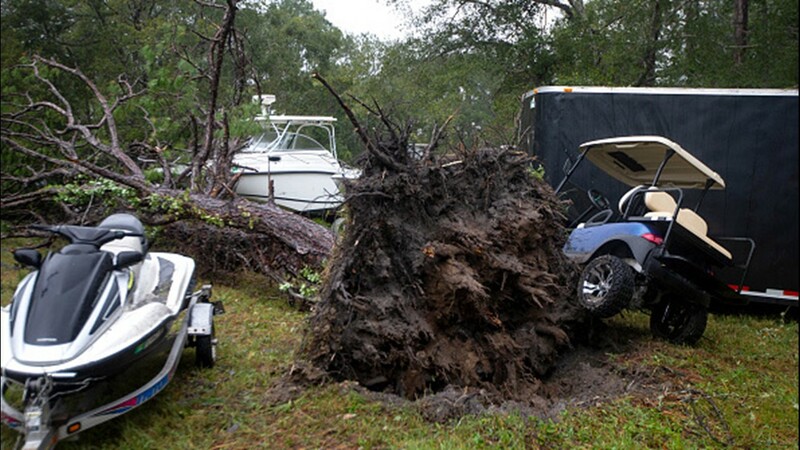 Michael made landfall at about 1:40 p.m. Wednesday near desolate Mexico Beach, Florida. 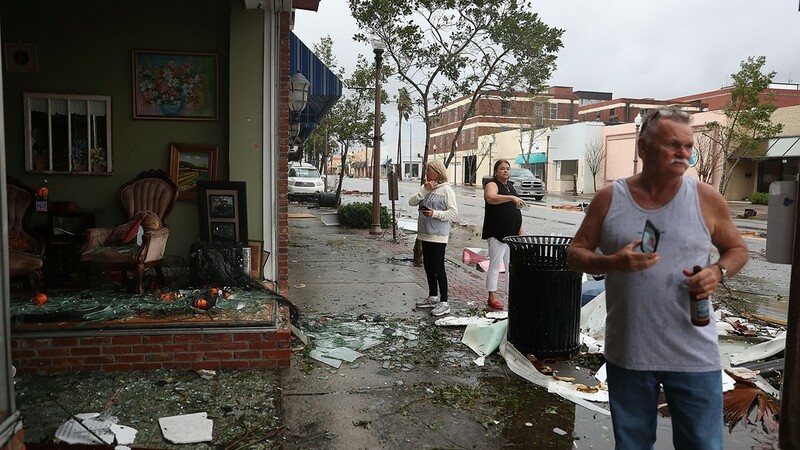 That's about 20 miles southeast of Panama City, where dozens of utility poles were snapped and parking lots glistened with broken glass. 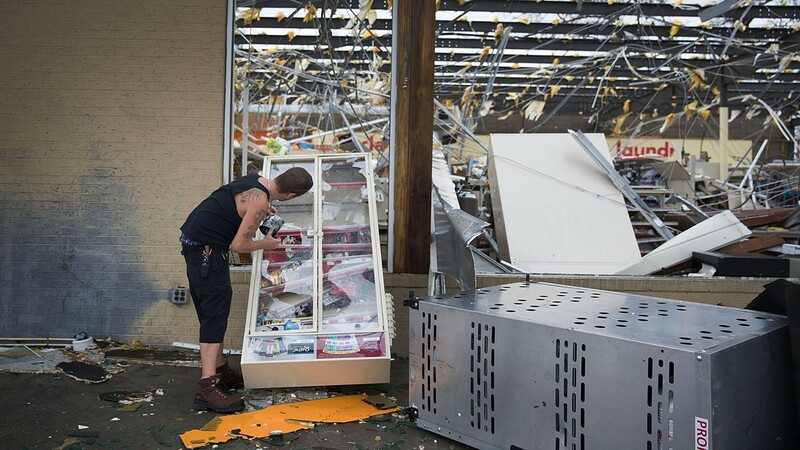 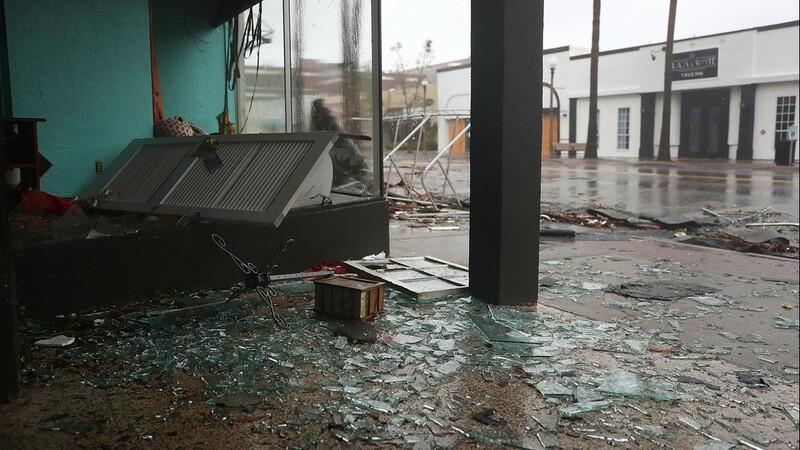 Police officers spent the night patrolling the area to prevent looting and responding to calls for assistance, making do with damaged patrol cars eased across downed power lines and even small buildings flipped into the middle of streets.